fine album, great organ and organist. Should play more often. Rather boring without the trills. In my opinion,played too fast for the room. The Cathedral's website says it's 104,275 square ft. with 8-9 seconds of reverberation time. 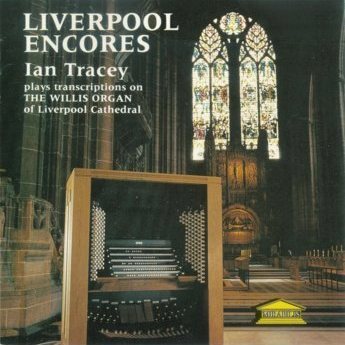 having heard this played live in the cathedral by Ian Tracey on my first ever visit to Liverpool, almost 30 years ago, it is still one of the most amazing experiences of my organ playing life. Chilling! Too fast - hardly. I wonder a 1/3 of a mile towering space is a room ! Ian is probably the world master of the large cathedral space. Before commenting go hear him live and you will here the pefection of the timing. Try the new SACd's with real modern recording and Micrphone placement and you will see the master at work. This original Micahel woodwards recording was a masterpiece of its time with minimal editing in the early 80's. I think that musically, it probably is a little too fast - but I'd echo (ha-ha) what 1ST DIAPASON and festival trumpet say. It's a stunning virtuoso performance and a magnificent sound, which I'd love to hear live. A mighty Willis and Ian Tracy a match truly made in heaven! 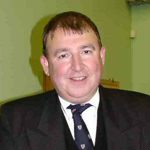 Brilliant piece played with panache on the mighty Liverpool Willis Organ. A wonderous sound. Panache is the word. Brilliant playing from the off. Ah, what a belter from this massive Willis pile. Always enjoy hearing this grand hymn! !